Recently, I counted the number of for-sale signs on houses in my neighborhood. On a loop through the neighborhood, I counted nine Realtor signs. Astonishingly, five were marked sold. I think this is a very good sign for the growing strength of the economy. This same phenomenon also seems to be affecting the mergers & acquisitions marketplace. BizBuySell has just reported that small business transactions are continuing to rise and are up more than 61% from the same time last year. This is shaping up as a good year in green industry mergers & acquisitions as well. In many industry sectors, the level of activity is as high right now as we have seen it in recent years for both buyers and sellers. This does not’t mean that making a deal and getting it financed is easy, but there is considerable energy in the marketplace. We are very excited to announce that our new program, Green Exit University, is now open and accepting students. On-line classes begin at the convenience of students. The purpose of Green Exit University is to enable green industry business owners to develop their own exit plans. The cost is very reasonable and we hope you will consider participating. Like many small business owners, I am thinking about the implementation of the Affordable Care Act (“Obamacare”), even with the recently announced one-year delay in the employer mandate. I really don’t like that term Obamacare, because it seems a bit disrespectful to our President. I am reminded that one of my favorite presidents, Jed Bartlet, said, “In this White House, when the President stands, nobody sits.” I fully understand why many, if not most, small business owners are very concerned about the impact the Act’s implementation may have on their businesses. I am also cautious about complaining, because as a 57-year old, self-employed person, I am someone who has already benefited from its provisions. I know that people in my category are one job change away from disaster when it comes to health insurance. I recently read an interesting article in the New York Times that discussed why many business owners are thinking very hard about embracing the $2,000 penalty per employee (in excess of 30) for not offering health insurance. Here’s the link. If you have 100 employees, the penalty might be something like (100 minus 30) times $2,000 or $140,000. While that may be more palatable than 100 times at least $5,000 or about $500,000 (or much more), even the lower number would be enough to wipe out many, if not most, of my clients. Many of my lawn and landscape clients have primarily low income employees and the premiums or penalties would raise their costs astronomically. It is not difficult to understand why many small business owners are extremely disturbed and frightened by the employer mandate. These lawn and landscape employers would, I suspect, often be better off offering a minimal qualifying (adequate) plan with the maximum cost-sharing of 9.5% of the employee’s income. I am confident that relatively few field employees would take that deal, leaving the employer to cover those employees willing to take the deal, but paying no penalties. 9.5% of income for a $10 per hour employee would be around $150 per month. I don’t know many of those guys with $150 extra every month. In many ways, that is not a pretty strategy, but I think it will work for most employers of relatively low-income workers. It is hard to predict how this is going to affect the small business merger & acquisition marketplace, particularly in the green industry. With valuations being primarily driven by cash flow, it seems impossible for it not to have an impact. We are already seeing situations in which small employers who do offer health insurance are being, at least theoretically, penalized in terms of valuation. I can’t really decide if that makes sense or not. The one-year delay in the employer mandate does not’t put this topic so far in the future that we don’t have to worry about it now. LUSA Holdings, LLC.  (Landscapes USA) has completed the acquisition of Peach Tree Landscapes in Nashville Tennessee. Peach Tree Landscapes is a leader in the commercial landscape industry in Middle Tennessee. Peach Tree’s 100 employees serve the greater Nashville area and surrounding Middle Tennessee counties. Landscapes USA has operations in six states: Texas, Colorado, Oklahoma, California, Florida and now Tennessee. Lawn Management Co. (LMC), Houston, has completed the acquisition of Perennial Landscaping, a wholly owned subsidiary of a large Texas real estate development company. The acquisition expands LMC’s footprint in the commercial class A segment of the Houston market. Atlanta-based Arrow Exterminators has acquired Bug Master Pest Exterminators located in Vero Beach Florida, a full-service company specializing in residential and commercial pest and termite control as well as lawn care services. We are pleased to announce that Green Exit University is now open and accepting participants. On-line classes are available now and can begin at the convenience of students. If you have been thinking about exit planning, but don’t know where to start or have been worried about the cost of bringing in professionals to assist you in the process, Green Exit University may be just the answer for you. Surveys show that nearly all Green Industry business owners have objectives for what they would like to do after they retire and/or sell their businesses. However, less than 40% have an exit strategy and that less than 15% have an exit plan. Experience tells us that those without a strategy and a plan are unlikely to achieve their objectives of being able to exit their business on their timetable and to enter the next phase of their lives financially stable. Improving those odds is what exit planning is all about and Green Exit University is a new, cost-effective approach to developing an exit plan for your business. Green Exit University includes twelve modules of training, each including two or more videos, reading, exercises based on your business and quizzes to measure your progress. At the conclusion of the course, you will have developed an exit plan for your business. Bronze, which combines the video-based training with email consulting and support. Silver, which adds up to four hours of telephone consulting on your exit plan. Gold, which combines Green Exit University with a professional Market Value Assessment from The Principium Group. Here’s a link to a video “Sneak Preview” of Green Exit University content. Visit (and like) our Facebook page for a limited-time offer. Registration for this event is limited and by invitation only, so please be sure to identify yourself as a guest of Ron Edmonds or The Principium Group. Want to Find Out if You Have a Sellable Business?